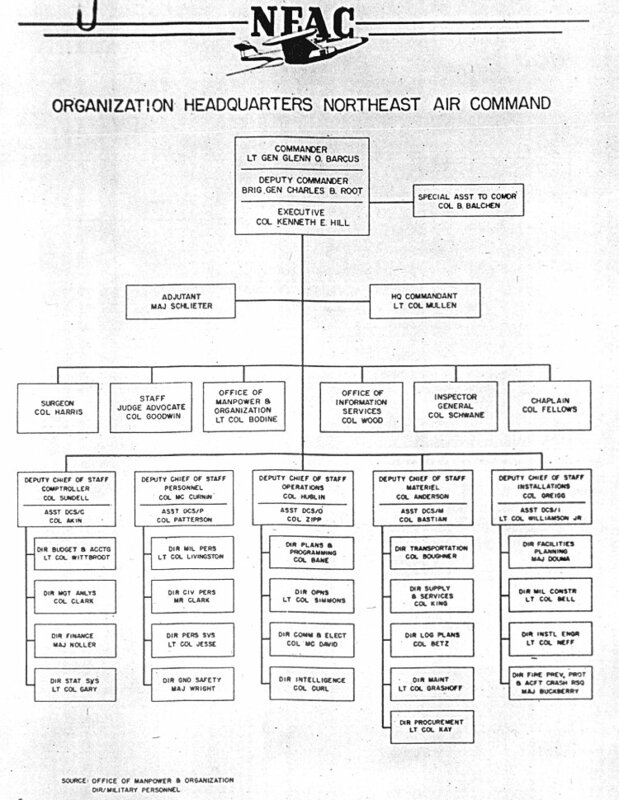 ARDC Command Day - 14 November 1955. 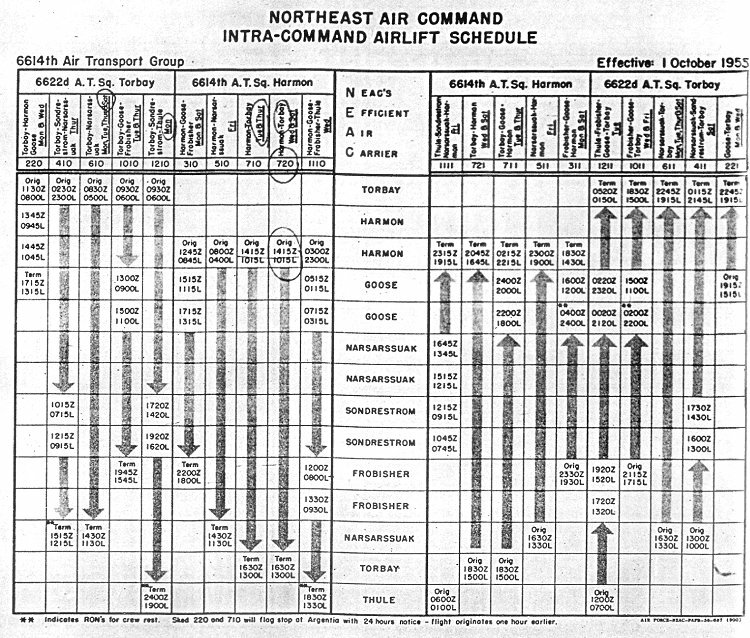 NEAC Intra Command Airlift Schedule - 1 October 1955. 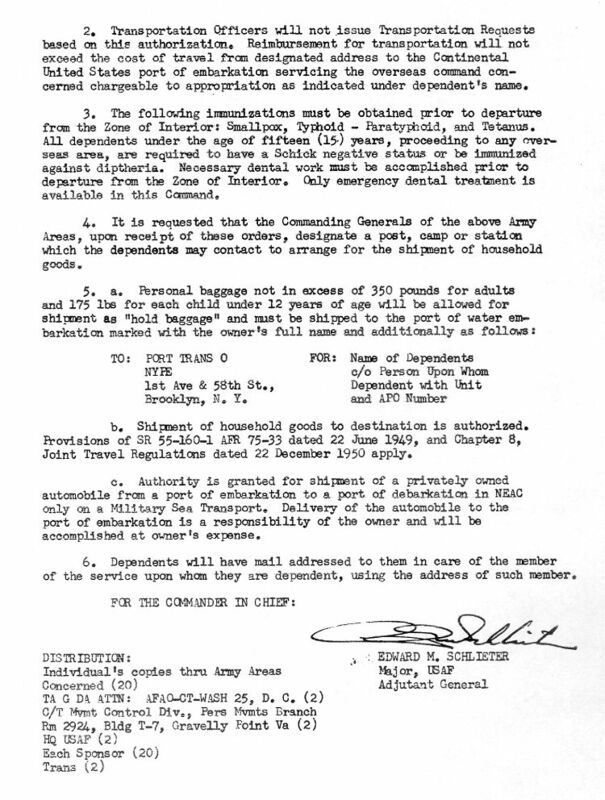 Headquarters United States Northeast Command, Travel Authorization for Dependants, page 1 of 2 - 22 August 1955. 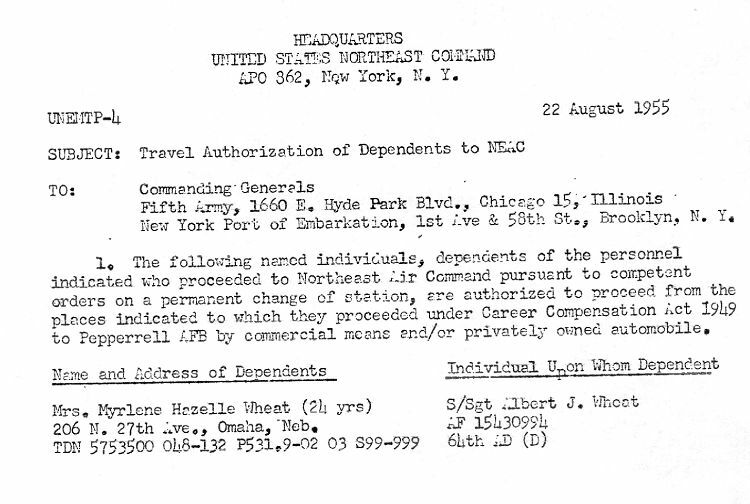 Headquarters United States Northeast Command, Travel Authorization for Dependants, page 2 of 2 - 22 August 1955. 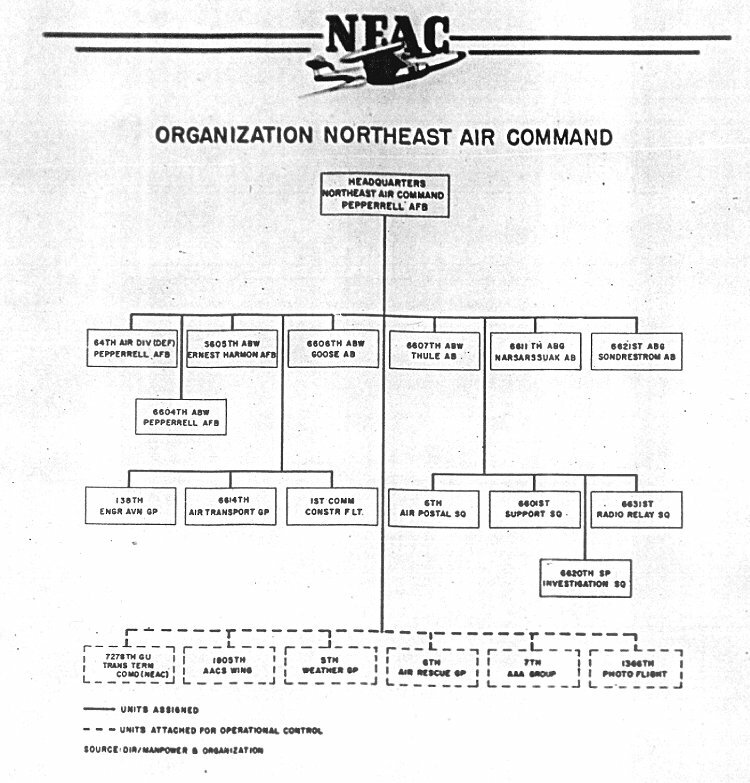 NEAC Organization Headquarters Chart - 1955. 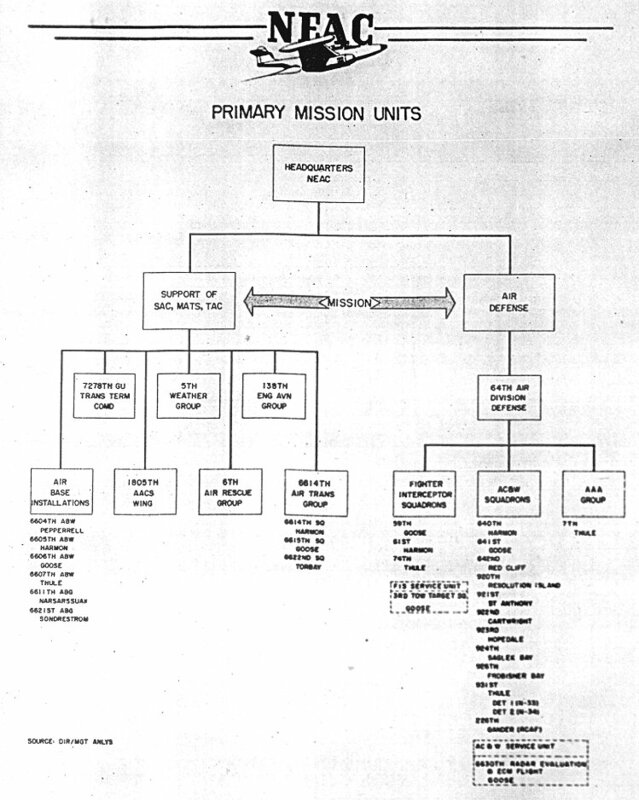 NEAC Primary Mission Units - 1955. 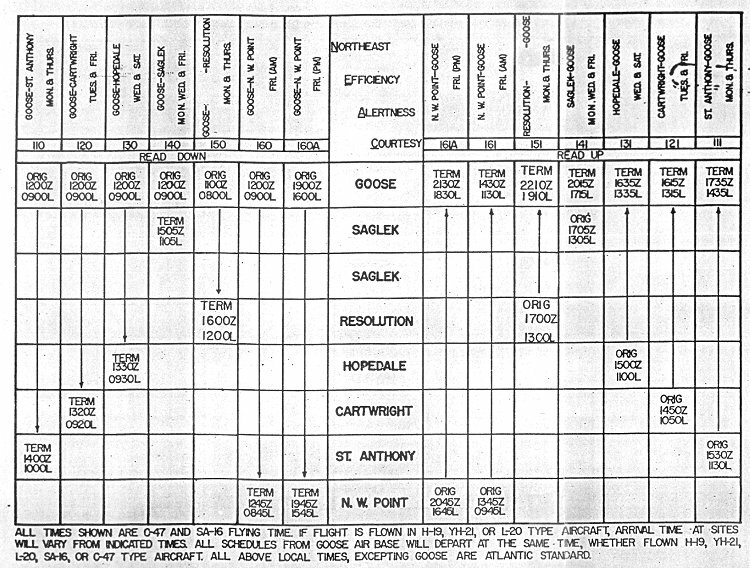 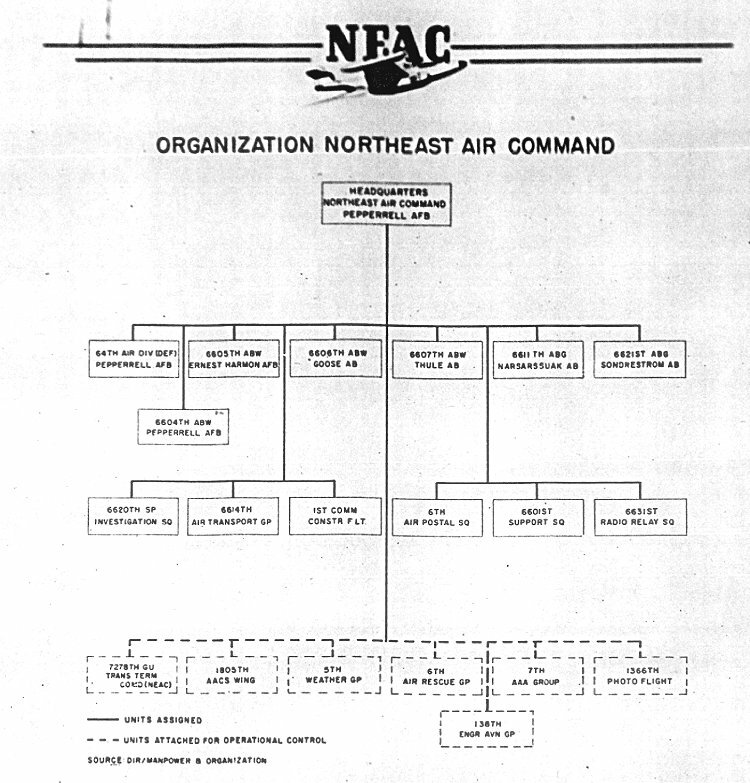 Organization Northeast Air Command Chart - 1955.